Well. Halloween 2011 is almost over. I have my usual regrets, larger it seems than many years past. The month and life got away with me, and I barely had time to decorate a haunt. Next year I will work faster, smarter, harder on the haunt-- beginning November 1. You really do have to stay on top of these things a year a head of time, or you will find yourself overwhelmed. 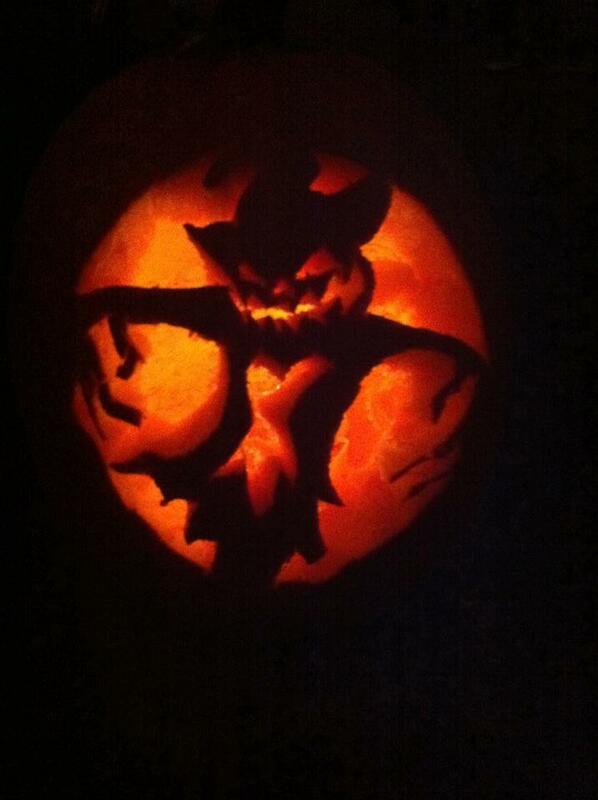 I did carve this pumpkin. With another three left uncarved. So. I did do many great festive things-- the haunted houses, constant stream of horror movies, reading (and seeing a dramatized version of) Henry James' "The Turn of the Screw," started to read "Something Wicked This Way Comes" by Ray Bradbury. And I have much material for cemetery posts, in the coming weeks. Until then, I wish you the Happiest, most Haunted of Halloweens.